Arne has more than five years private equity and M&A experience. Prior to joining Alteri, he was part of the European investment team of The Gores Group, a Los Angeles based private equity firm primarily focused on operationally driven transactions and carve-outs. During his time, he was involved in both new investments and transformation projects with existing portfolio companies. Previously, Arne worked as an M&A Analyst at Deutsche Bank in London where he executed a number of M&A and capital markets transactions. Arnold has 10 years private equity and M&A experience. Prior to joining Alteri, he was an Associate Director at Terra Firma with a main focus on leisure, retail and operational real estate businesses. 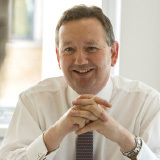 During his 6 years there, Arnold worked very closely with the Wyevale Gardens Centres Group, serving a 12-month secondment as Head of Corporate Finance and Strategy. He has also held Non-Executive board positions on a number of portfolio companies. Prior to joining Terra Firma, Arnold had roles at Jamieson Corporate Finance and Credit Suisse. 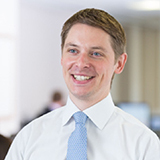 Prior to joining Alteri, Chris was part of the financial restructuring group at Houlihan Lokey in London where he worked on a number of restructurings across several sectors. Chris holds an MSc in Economics and Business Administration from the Norwegian School of Economics. Cyrus has five years of experience in advisory and investment. Initially he worked as an analyst in the Leveraged Finance and Sponsors Group at Credit Suisse and then as an Associate at Park Square Capital, where he worked on debt and equity financings for large cap buyouts as well as special situations investments. He holds a BA in Philosophy, Politics and Economics from Oxford University. Dmitry is An Associate at Alteri and has over 6 years of retail restructuring experience with Alteri and GA Europe. He uses his deep understanding of true underlying asset values to analyse investment downside scenarios. Previously, he held various software development and business intelligence roles in a diverse range of companies including Deutsche Bank, Siemens and CSC. He is a graduate from Moscow State University and has an MBA from Cass Business School. Gavin has 30 years of experience in the retail sector – a financially qualified retail operator, turned consultant turned distressed investor. Prior to establishing Alteri Investors, he was CEO of GA Europe, completing more than 25 distressed retail deals. Previously, he was an independent Chief Restructuring Officer for retail and consumer businesses and before that was Partner and Head of Retail at Ernst & Young UK. Gavin originally trained as a chartered accountant before working in retail operations at Dixons and then moving into retail consulting. Gavin is a member of both the European Association of Certified Turnaround Professionals (EACTP) and The Institute for Turnaround (IFT). Jonathan has 15 years retail sector experience, principally in research, thought leadership and advisory. 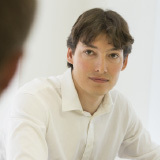 Prior to joining Alteri, he was Market Analyst at GA Europe, playing a key role in deal generation. Previously, he was part of the retail advisory team at Ernst & Young, with a specific focus on assisting retailers to develop their international businesses. Jonathan has been a regular author of articles, surveys and points-of-view on issues impacting the retail sector. 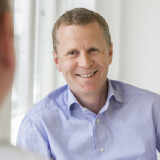 Jörg has almost 20 years retail sector experience as corporate financier and strategic advisor. Before joining Alteri he was a Managing Director at corporate finance firm Leonardo. Based in Frankfurt, Jörg was responsible for German speaking consumer and retail activities. He began his career at Deutsche Bank before moving into the corporate finance team at HSBC, both in Germany and London. He also held positions at Montagu Private Equity and Canaccord Genuity. 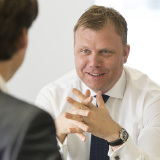 Magnus has almost 20 years of experience in the retail and consumer sectors, principally in private equity. Prior to joining Alteri as CIO in March 2015, he was Senior Principal in the Retail and Consumer team at Apax Partners. During his 11 years there he led or participated in €2.8bn of equity investments including fashion brand Tommy Hilfiger, Nordic garden centre chain Plantasjen, and shoes and bag manufacturer Cole Haan. Previously he worked for Procter & Gamble for 5 years across Europe and the US. Magnus holds an MBA from Harvard Business School. Milton has more than 30 years of in-depth sector experience and extensive product and category knowledge. Milton has worked as a retail operator, turnaround professional, corporate finance advisor and consultant. 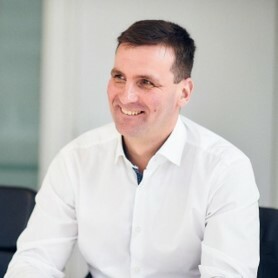 Prior to joining Alteri, he was COO and subsequently CEO of GA Europe. He has also been the CEO of Celebrations Group and has held senior operational roles at a host of other UK retail companies including K Shoes, Burton Group, Woolworths, Courts, Bewise Group, NAAFI, and Scholl. Siegfried has more than 15 years experience in retail operations. Prior to joining Alteri, he was Operations Director at a specialist US owned restructuring firm, and has previously held roles at a number of high profile German retailers. These included 8 years at electricals retailer Promarkt as Cash Audit Leader and Head of Audit, and 3 years at one of the world’s largest retailers Metro Group as Stock Control Officer. He was also a Managing Director at catering firm Stacklies. Siegfried studied Mechanical Engineering in Klagenfurt, Austria and started his career in the Austrian Amy, serving a total of 7 years. Torsten has over 20 years of experience in e-commerce and the retail sector. Prior to joining Alteri he was a Managing Director with Alvarez & Marsal, where he held several interim roles focused on the performance improvement of e-commerce business models and the digital transformation of retailers. Previously he headed up the US arm of digital consultancy d-group and has held several senior executive and supervisory roles at a number of major European retailers including Intersport, Kaufhof and Neckermann. Our core team possesses genuine retail expertise and brings together a blend of highly experienced investment professionals and retail operators.